Sydney Shop Girl: Lovin' Life 11/10/2018: Zero!!!! Today I am loving the number zero. It's symmetry, it's finality and the fact that it is the current value of my demerit points as of this week. It was the October long weekend this time three years ago and I had just moved to SSG Manor 2.0. I was rushing off to work and high fiving myself for making such good time and not getting lost on my way to the Cross City Tunnel. My little speeding incident triggered a gentle reminder letter from Roads and Maritime Services along with this handy little brochure. The letter and brochure have been on my fridge ever since as a daily reminder to watch my speed and general driving behaviour. Or else. 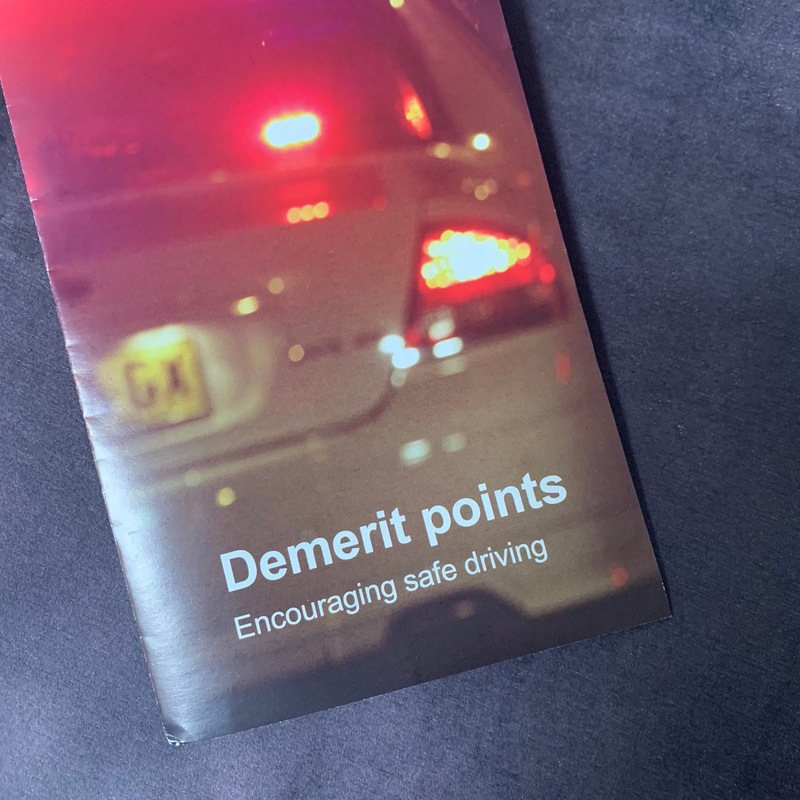 No one likes demerit points and most people like to think that they were hard done by getting points. We all like to think that we're mostly good drivers and we were just caught out on a bad day. Or at least that's how I like to think. But the points were a very effective behaviour modifier for me. I sat down and made a note of all the ways my life would change if I lost my licence for 3 months. How impossible the commute to work and to school would be. All the activities and fun things I do in an average week that are relatively effortless with a car as opposed to relying on public transport. And shopping. How on earth could I bring home the week's groceries on a bus? I've been driving with half an eye on the speedometer as a result. My peripheral vision is highly sensitive to anything on the side of the road that could be a speed camera. I avoid travel during the school day slow down periods. I've managed to get no further demerits since that crop of six on October 4, 2015. And now I'm back to zero and determined to stay there for as long as I can. Have you ever been 'this close' with demerit points? Did all those points make you a safer and more careful driver? Well done. I had to write a letter for a boss one time when he got "this" close. The goal wasn't to avoid the fine, but to create one of those letters that would be passed around the office for long enough that it would delay the process enough to get him past when some of the points would be returned. We laughed about it at the time, but he still got a lecture from me about safe driving, responsibility etc etc. Woohoo! Good on you for going back to zero. I must confess, I do speed occasionally but have been fortunate to not get caught. I haven't gone more than 10 ks over the limit but I am aware that's not a good enough excuse. I lost my first ever points a couple of years ago (aged 48 or 49), but unfortunately lost another point or so recently - after a trip to Brisbane... it seems I sped through one of the tunnels there as I drove my mother and myself home. Lost my first 2 a few weeks ago dropping husband off at work. Bloody school zones. A fine and 2 demerits for dropping him off in a bus zone at 810am that isn't used till 830am. Luckily I'd just renewed my 10 year licence at half price for a clean record. Have driven a car since 18 and now am 30.